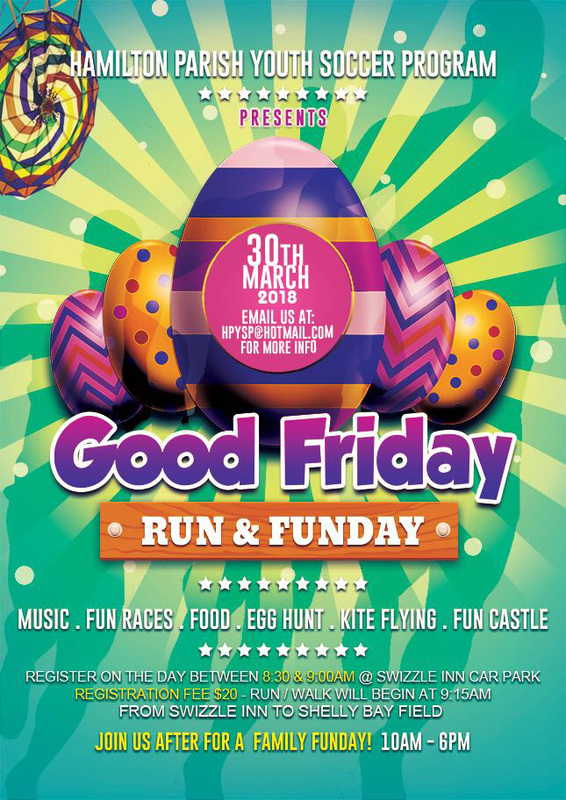 The Hamilton Parish Youth Soccer Program [HPYSP] will be hosting a Good Friday Community Run and Fun Day starting at 9.15am at the Swizzle Inn Car Park, with the run traveling along North Shore and finishing at Shelly Bay Field. A spokesperson said, “The HPYSP has planned a Good Friday Community Run and Fun Day event on March 30. The run/walk/bike ride will begin at 9.15am at the Swizzle Inn Car Park, traveling along North Shore and finishing at Shelly Bay Field. “Prizes will be awarded to top place finishers. This will be an all day event of family fun from 10.00am through 6.00pm that will include music, football, fun races, food, egg hunt, kite flying, and fun castles.